Robert Parham has written two Ethics Daily columns this week about the importance of interfaith dialogue. His piece yesterday was entitled "Conservative Christians Dismiss Interfaith Dialogue as Inconsequential." His one today is entitled "Muslim Leaders Can Help Goodwill Baptists Think about Interfaith Dialogue." 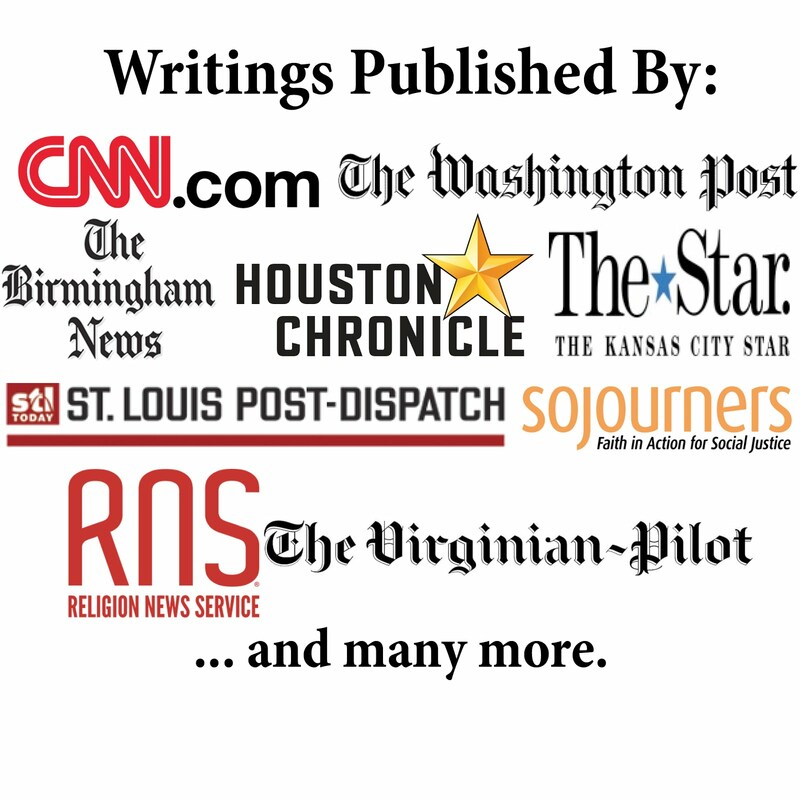 One effort that will hopefully continue this effort will be the airing of the documentary "Different Books, Common Word: Baptists and Muslims" on ABC stations in January. You can watch the trailer and other clips from the film here. "Dismissing or avoiding interfaith dialogue reflects a reactive approach to the realities of the 21st century. We are living in a multifaith world. We had better get used to it, stop pretending we live on an island of theological consensus and find ways to engage proactively our neighbors." It can't be reactive if that is the primary approach we've taken in our tradition's history, it's the norm. I don't think too many Baptists, especially Southern Baptists, live in any kind of delusion that there is any kind of "island of theological consensus." I don't think Southern Baptists are even opposed to engaging proactively with our neighbors. Mr. Parham acts like interfaith dialogue is the only proactive engagement possible. That assessment seems uncritical and certainly not creative. I rarely defend my fundamentalist brethren but on this count I tend to agree more with their approach. Interfaith dialogue is a waste of time and suggesting that Christ did it is silly. Christ talk to a samaritan would be more like Christians talking to Mormons or Jehovah's Witnesses than any other religion. Besides, Christ meeting with the woman was less about understanding each other (as if he didn't already completely understand them) than it was to encourage repentance and announce hope. Interfaith dialogue has nothing in common with being missional. Sitting down in formal meetings to discuss with experts the similarities and differences between our religion makes for no opportunity for calls to repentance and salvation. Furthermore, what really is the purpose of such information presented in such a way if we need little more than Google and Wikipedia to achieve the same results? The imams, priests and other types of clergy cannot speak for the people. The people have very personal reasons for holding the beliefs they do. Those are what need to be engaged not some abstract orthodoxy that might not even matter to the Muslim that lives across the street. If anything such an approach only hinders one when trying to create an honest relationship with a Muslim neighbor because one would go in presuming to have some understanding of what the neighbor believes when it very well might not be the case at all for this particular person. The basis of our faith and the Great Commission is love. Love exhibits itself in a desire to connect with people intimately, not just in a head knowledge sort of way which is the only thing interfaith dialogue encourages. Fundamentalists aren't worried about theological compromise when it comes to interfaith dialogue. They'd be anything but fundamentalists if they thought they could compromise. It's not about compromise, it's about gospel effectiveness. Interfaith dialogue has yet to show any fruit for all that those who are for it claim it does. "interfaith dialogue does not necessitate that each faith water down its theological convictions. Dialogue helps Baptists and Muslims clarify their beliefs to each other." So does the internet and bookstores. "interfaith dialogue can dispel false stereotypes. Knowing the truth about another faith is crucial to advancing the common good. Hearing the truth about another faith comes best from a member of that faith, not from a secondary source in a different faith." That's fine and dandy, but we can't be content with just knowledge when we are expected to preach repentance and salvation in Jesus. "if Muslims and Baptists in America model positive interfaith dialogue, then we offer the global community an alternative to distrust and divisiveness. We show the world a better way." The only better way is with Jesus. No political programs, moral role models or anything less than Jesus is a better way. If anything it is a delusion that things can be fine without him. Let the world be depraved and let a spotless Church show and proclaim unequivocally the better way in Christ Jesus. "interfaith dialogue demands courage – courage keeps us from shrinking from the angry voices and the fear of the unknown. Courage helps us shrink the distance of non-engagement based on anxious misperceptions." Hardly. In my experience, the kind of people on the front of the line for interfaith dialogue are the type that are not courageous enough to begin the dialogue with a close friend or family member about what they think about Jesus in hopes that through such discussion and prayer that they will come to know the only hope they have. True courage is exhibiting the very foolishness Paul spoke of in 1 Corinthians 1:18-2:16 in front of those you most deeply care about and who could reject you because of such a message. If you strip away interfaith dialogue from Parham and ethicsdaily.com, you'll leave them only global warming and discrimination against women as senior pastors as religious issues to continue justifying their financial support.